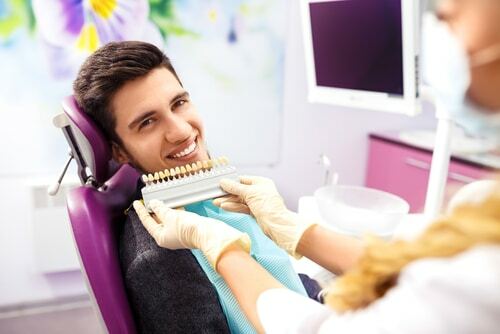 From the 1970s, dental implants have been used to replace missing teeth and have had high success rates compared to other treatments like dentures. Implant technology has also grown in leaps and bounds. Today, there are better designs, tools and techniques used to make the procedure faster and more efficient. Today, a dental implant is designed to fuse to the jawbone so this means they can’t move or become loose over time like dentures. Implants can easily last a lifetime with proper care and maintenance. Below are a few reasons why a dental implant is recommended to this day. A dental implant is designed to look, feel and function just like real teeth. It is drilled in the bone to provide a strong and stable support. With this replacement option, you never have to worry about bone deterioration and issues when smiling, speaking or chewing certain foods. If you are looking for a way to replace missing teeth in the long term, consider having implants. Unlike other treatments like bridges which can only last up to 7 years with proper care, implants can last a lifetime. You just need to go for professional care once in a while and make sure they are placed well. No need to go about your day to day life with fears that your dentures can quickly fall off. With a dental implant, you are assured that the tooth will remain intact as you go on with your day to day activities. You can talk, eat and laugh without any worries. It gives you the freedom to live your life with no fears. When you have missing teeth, it tends to interfere with your natural face shape and smile. You will notice that many older people who don’t have a full set of teeth have a saggy and sunken face shape. This constantly sad and tired look can be eliminated with an implant treatment. The dental implant allows you to maintain your natural face shape and be content with your smile. It’s important to replace missing teeth because it helps to protect your healthy bone. When you lose teeth, and stay with the spaces in your mouth, you create room for numerous health issues. For instance, the jaw bone deteriorates losing its strength and firmness. With a dental implant, you get a replacement that actually helps to stimulate natural bone. This ensures your bone tissue becomes stronger. Dental implants will still allow you to speak easy. Unlike the removable dentures which can become loose and make it difficult for you to pronounce certain words, implants are strongly attached to the socket with no movements. Not only will the implants help you to maintain proper speech but also to eat your favorite foods. You will be able to maintain a healthy diet thanks to the implants you receive.